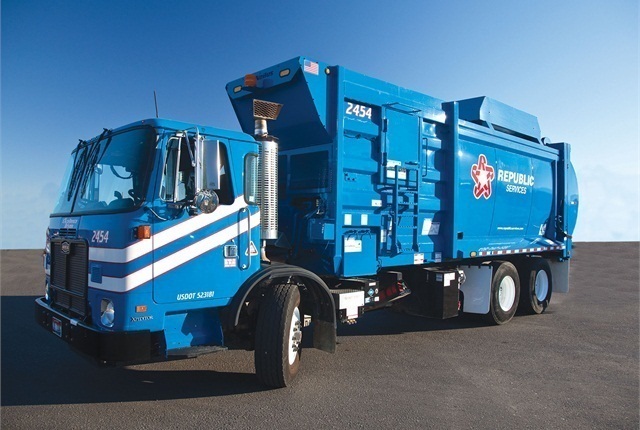 Republic Services has added 17 compressed natural gas (CNG) solid waste collection trucks to its fleet serving customers throughout the greater Denver area, the waste management company announced. With the addition of the CNG trucks, which replace older diesel-powered trucks, natural gas vehicles now make up more than half (82) of the 158 collection trucks Republic operates throughout the state of Colorado. Republic Services operates a natural gas fueling station at its Commerce City, Col., location to support its Denver-based CNG fleet. One-third of Republic's fleet serving the greater Denver metropolitan area is now powered by the domestic fuel source, the company said. Nationwide, Republic Services operates a fleet of more than 2,200 CNG vehicles and 38 natural gas fueling stations, and its CNG fleet helps to save roughly 18 million gallons of diesel fuel annually, according to the company.